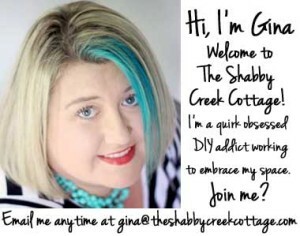 Hi Shabby Creek friends! 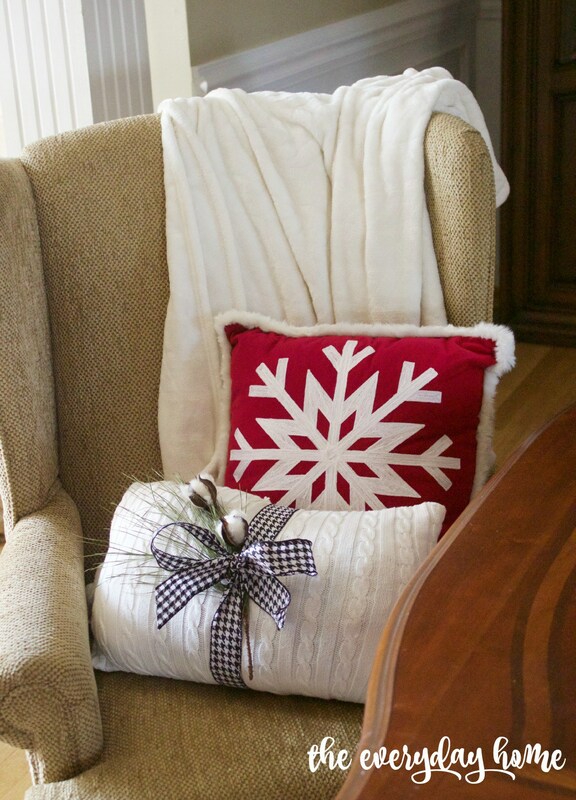 I’m Barb with The Everyday Home and I am so happy to be here today sharing my Christmas pillow. This oh-so-quick ‘n easy project, inevitably, turned out to be one of my favorites this year, and I hope it will inspire you, too. 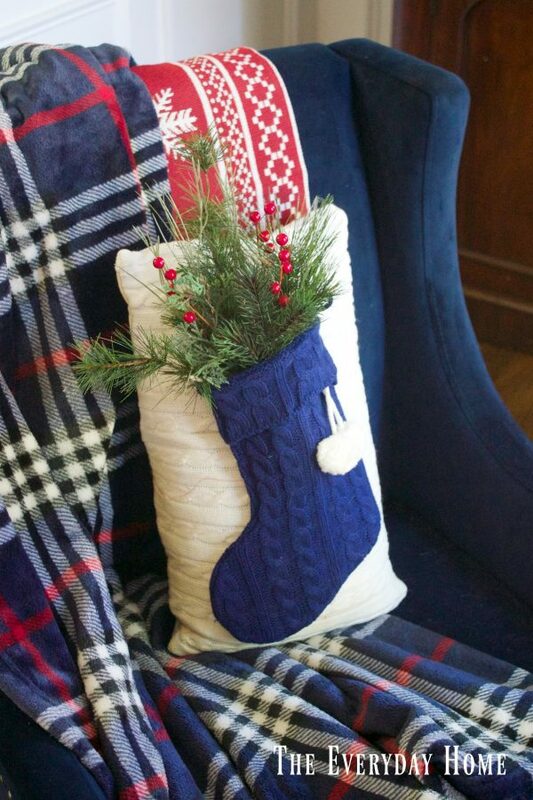 I found these cute little, navy blue sweater stockings at Target in the Dollar section. They were only $3 each. I love the cute little, white poms. Now, I realize not everyone can use this color. 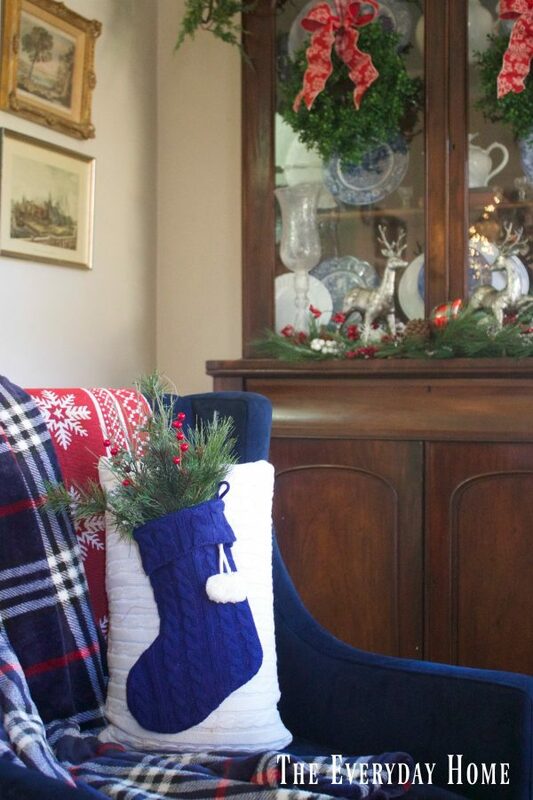 Navy is not a typical Christmas color. But, when you just so happen to own two navy blue chairs in your Living Room, they are perfect. 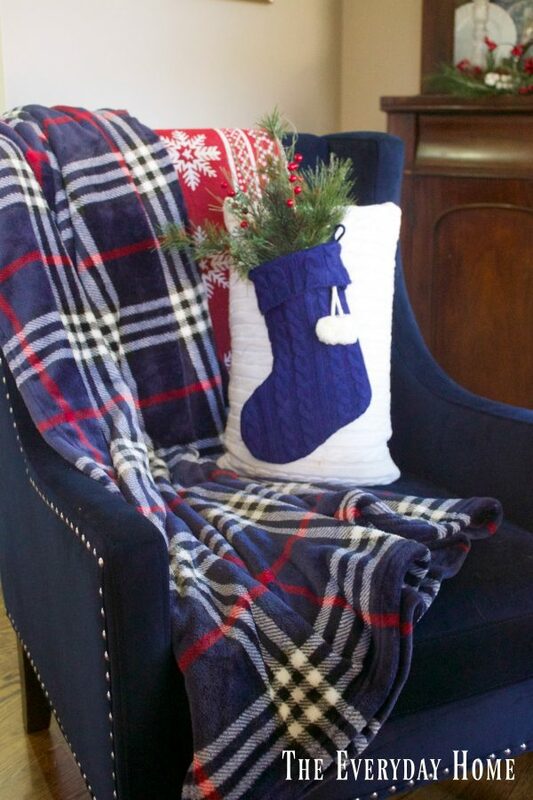 I already had these two sweater pillows which I had created last Christmas from a Goodwill sweater. They were the perfect size pillows for this project. 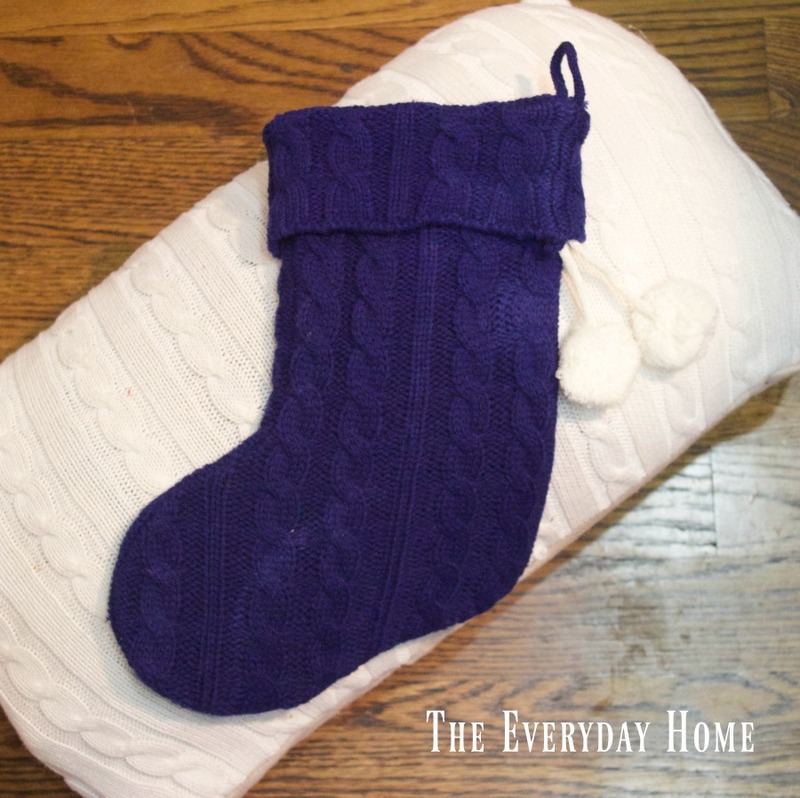 You can read my easy instructions for making a DIY Sweater Pillow here. 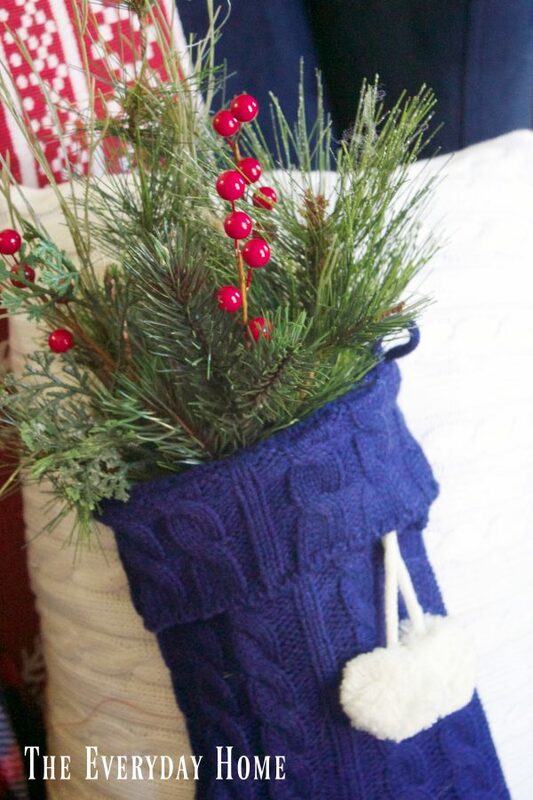 After simply attaching the mini stocking to the front of the sweater pillow with some needle and thread, I then filled the stocking with sprigs of greenery and a few berries. It literally took me about 10 minutes from start to finish. I have put in a lot of hours on our home this Christmas season. But, this was one of the easiest, least expensive and quickest projects I completed. I sure do love the impact it gave our Living Room. 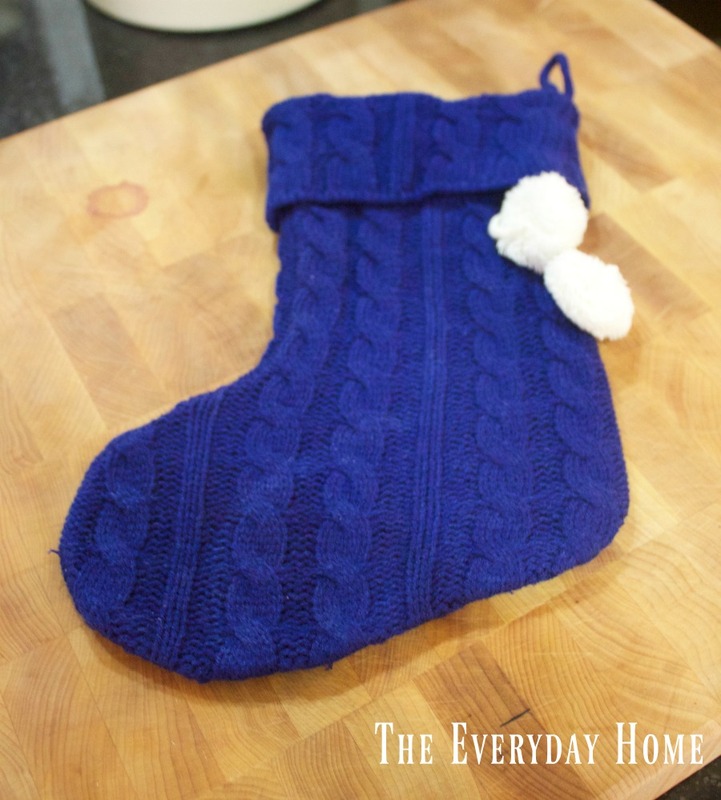 Thanks to Gina for letting me share this simple Christmas project with you. I hope you enjoyed it. 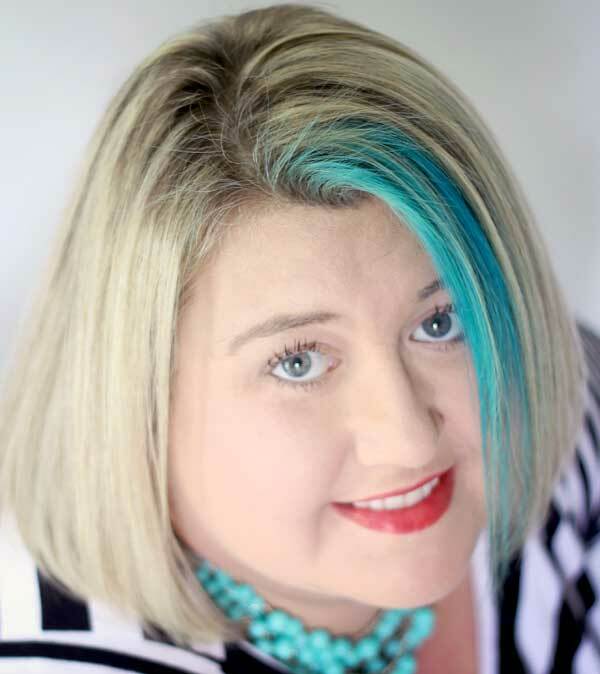 I would love for you to visit me at my blog, The Everyday Home for even more DIY and Christmas decorating ideas. 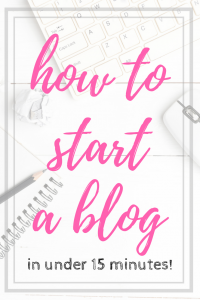 I would also love for you to sign up for my FREE Newsletter where I offer monthly giveaways and free printables just for my newsletter subscribers. Merry Christmas, everyone! 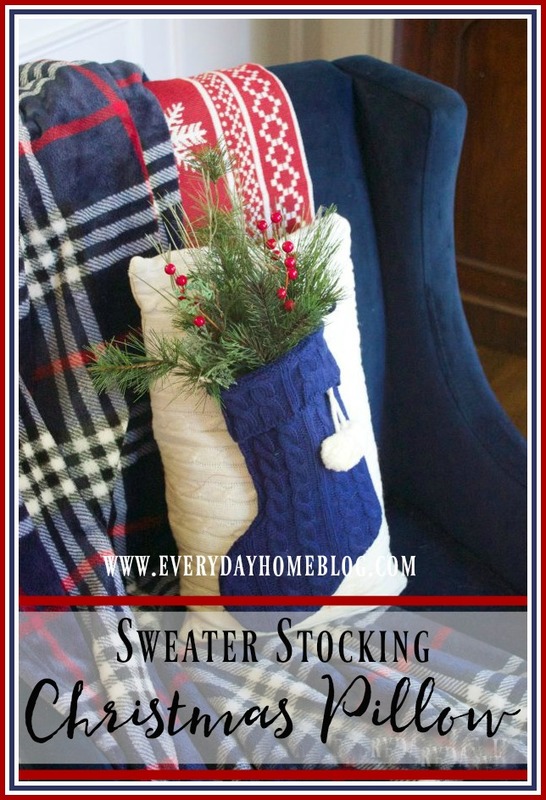 Love the sweater pillows, and cute idea adding the stocking with the greenery. 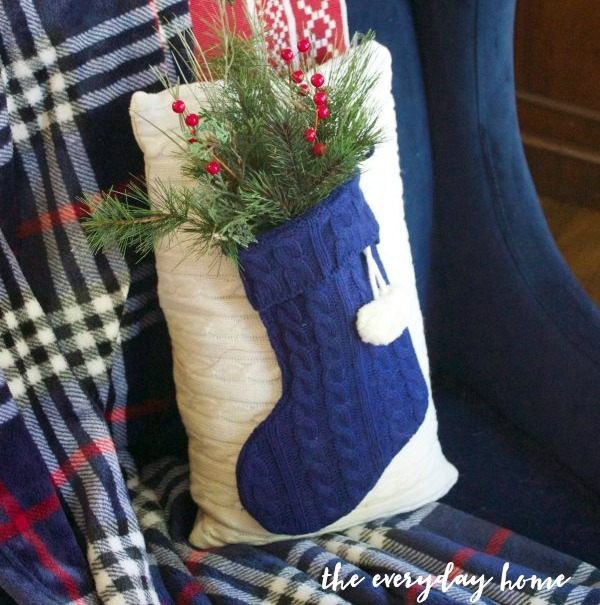 Inexpensive project, and cute! I believe I have some sweaters that have shrunk, at least that’s what I am telling myself, lol.